In October 2018, the Intergovernmental Panel on Climate Change released the Special Report on Global Warming of 1.5°C, describing the expected impacts of 1.5°C and 2°C of warming and outlining global greenhouse gas emission reduction pathways that could limit warming to those levels. This brief summarizes the Special Report (SR15) and related consequences for Washington state. 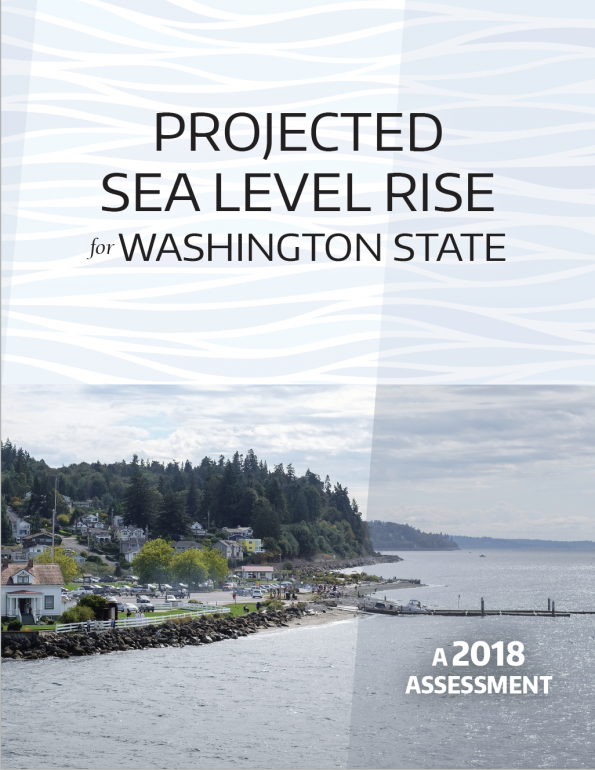 This report provides community-scale sea level rise projections out to the year 2150 for 171 different locations around coastal Washington. For each location, this report assesses the likelihood that sea level rise will reach or exceed a certain level relative to the present. This probabilistic approach is designed to support direct application in risk management and planning. 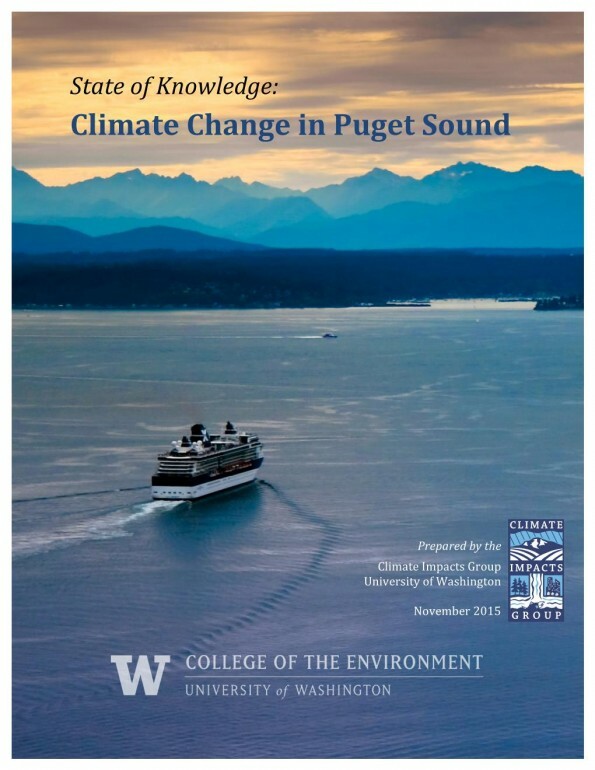 This report summarizes the current state of knowledge concerning observed and likely future climate trends and their effects on the lands, waters and people of the Puget Sound region. 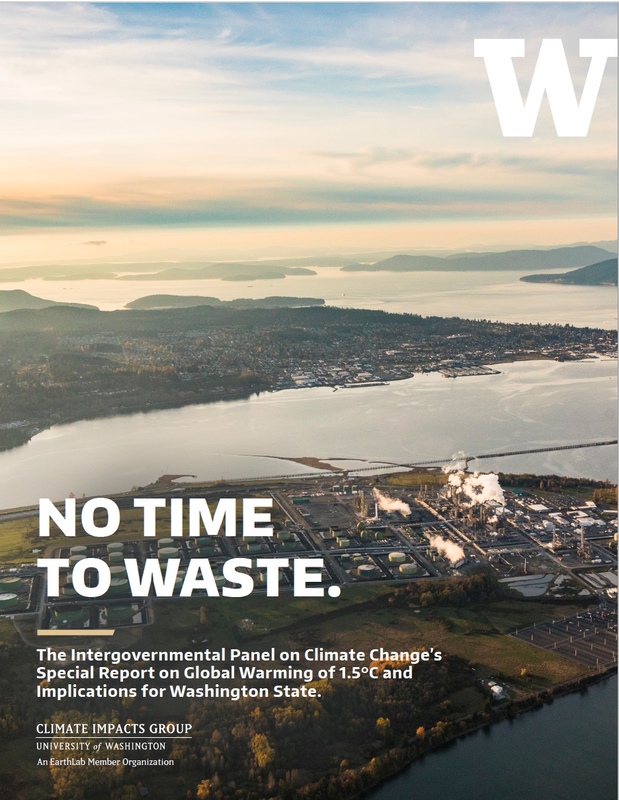 This report summarizes existing knowledge about the likely effects of climate change on Washington State and the Pacific Northwest, with an emphasis on research since 2007. This report serves as an updated resource for scientists, stakeholders, decision makers, students, and community members interested in understanding and preparing for climate change impacts on Oregon, Washington, and Idaho. This report is intended to support the key findings presented in the Northwest chapter of the Third National Climate Assessment. 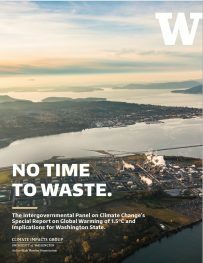 The Washington Climate Change Impacts Assessment is a comprehensive look at how climate change may affect key sectors of Washington’s natural and built environment, including agriculture, coasts, energy, forests, human health, salmon, urban stormwater infrastructure, and water supply. Funding for the study was provided by the Washington State Legislature. 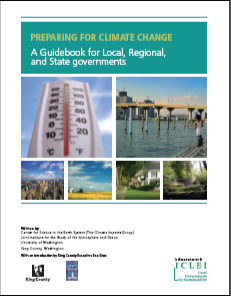 This guidebook is designed to help local, regional, and state governments prepare for climate change by recommending a detailed, easy-to-understand process for climate change preparedness based on familiar resources and tools.